Consisting of attractive interiors and sophisticated decor with a heap of production details, The Grand redefines nightclub entertainment in San Francisco. By incorporating Vegas inspired production elements, The Grand encourages a high level of energy and the ultimate nightclub experience. Dance the night away on the most energetic dance floors surrounded by lavish VIP table seating, with views of the entire nightclub from anywhere you sit. Experience 2 floors with five separate levels of elevation for maximum visibility. 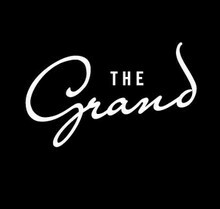 The Grand is the quintessential nightspot to be seen!